What I am about to tell you will revolutionize your entire life. 🙂 Ok…well, maybe not. But pretty close. 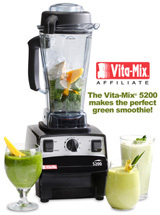 This is especially for those of you who are rockin’ the green smoothies…and need something to shake it up a bit. But it’s also for anyone who loves chocolate and wants a healthy alternative to their addiction. These make great popsicles for the kiddos too. Sit there for a moment while your world turns upside down. Smile deliriously until someone walks by and asks what is wrong with you. Share your chocolate bliss and make them happy too. Entry filed under: Chocolate, Raw. mmmm. this is good. we just made it and i popped mine back in the freezer so i could write this really quick. all but my non banana loving girl finds this to be terrific! i actually cut the agave nectar in 1/2 and only used just under 1/8th a cup. I wonder if you could put this in an ice cream freezer and make ice cream with it? It was delicious by the way. regarding the agave nectar, i used just a squirt (would not have amounted to more than 2 tablespoons) and was still quite pleased… i am going to try it next time without any and see how it turns out. Girl, you have me ADDICTED to these! I am drinking them daily and love them! Of course I use more carob than the recipe b/c I like it to have the banana down-played a bit….mmmmmmmmmmmm! YUM! I am drinking this as I type! Thanks! I have got to try this one!!! 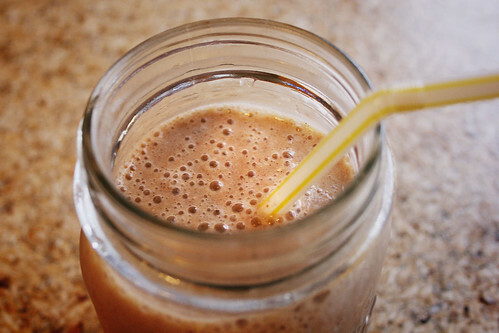 I am really loving my green smoothies, but sometimes in the late afternoon I start craving chocolate and it sounds like this will cure my craving and I won’t be eating something that I will regret! The kids and I are drinking our chocolate bliss now. I made almond milk last night … what do I do with that leftover pulp? I hate to throw it away! We are in the process of transitioning many of our food choices and mostly being driven by my 10 yos who is allergic to peanuts and is now reacting to something else, possibly wheat and/or dairy. We are working on an elimination diet now to try and target the offender or offenders. Thankfully, he is a good sport and likes a variety of food. This almond milk will make the transition easier and who knows, we may all finally get off dairy. I think I just found the cure for my daily 3 o’clock chocolate craving! Thanks mama! I am browsing through your entire blog tonight and got up and made this one. I am on sugar, dairy, bread elimination (crazy huh? ) and craving something tonight. This is perfect! I have been making these every few days for a few weeks now. They are AMAZING! Thank you so much for sharing. Would three cups of frozen banana equal three frozen bananas? Sounds like a great recipe! I am eager to whip this up. Seriously Delicious, thanks for sharing! I love this recipe, but I use 5-7 dates instead of agave or stevia. Yum! Thank you for posting this, it’s going into the recipe binder…and I’m bookmarking your site as I’ve just committed to more yummy raw food in our diet! like tto send yoou an e-mail. I’ve got some recommendations for your blog you might be interested in hearing. Foody” on my own blog. Will you care in the event that I actuallydo?